We’re 70 years on after the end of World War 2 but games from that era are still popular. 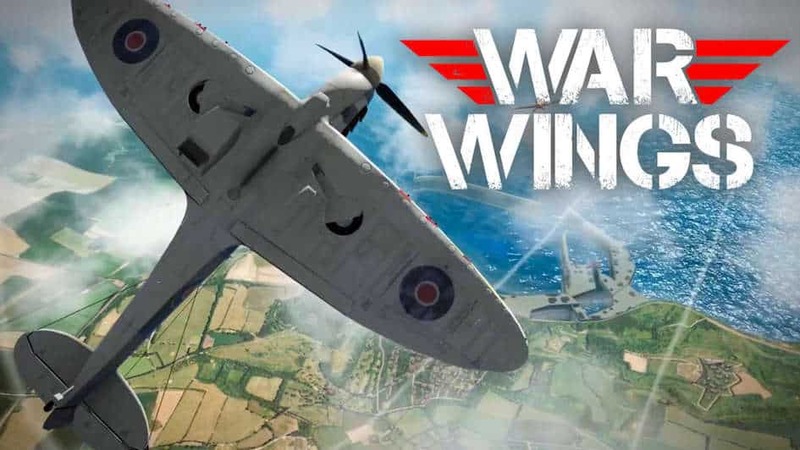 In War Wings for PC you take to the air as a fighter pilot during the world’s greatest conflict and fly across the sky while taking down enemy pilots. The storyline is far from historically accurate but that won’t stop you from enjoying the thrill of being an ace pilot. The bulk of this game is played entirely online. It features a four-on-four skirmish in the air which you can play with other real-world players as you fly through the sky doing your best to take down the other fighter-pilots without getting shot down yourself. Each team can be shot down a certain number of times before you eventually lose the battle. The scoring mode is simple and so too is the gameplay. A virtual joystick helps you steer your plane and buttons give you the option of boosting, firing or cycling through weapons. Combat only lasts a few minutes but that’s perfect for mobile games. The mechanics make those few minutes satisfying by telling you when the opponent is in range and a cursor which changes color helps you get your aim right. With these simple controls you can tail your enemy through the sky and blast them until their health runs out. Chasing enemies isn’t that easy because you have to make sure that you’re not being chased either. If you’re not careful then it is easy to get ganged up on with one enemy fighter acting as the bait while the rest of their squadron forms on your tail. Teamwork is vital in this game so co-ordinate with the other players to bring the best out of your team. What good would your fighter-jet be if you can’t upgrade it? The planes in War Wings can be upgraded extensively with new features including stronger armor and several types of ammunition. Every upgrade is earned by winning battles or by using in-app purchases. Standard battles are fun however you can join a league for a greater challenge. Each league win in PvP battles takes you further up the rankings and gives you access to better upgrades. You can play offline as well however this feature is rather boring in comparison. 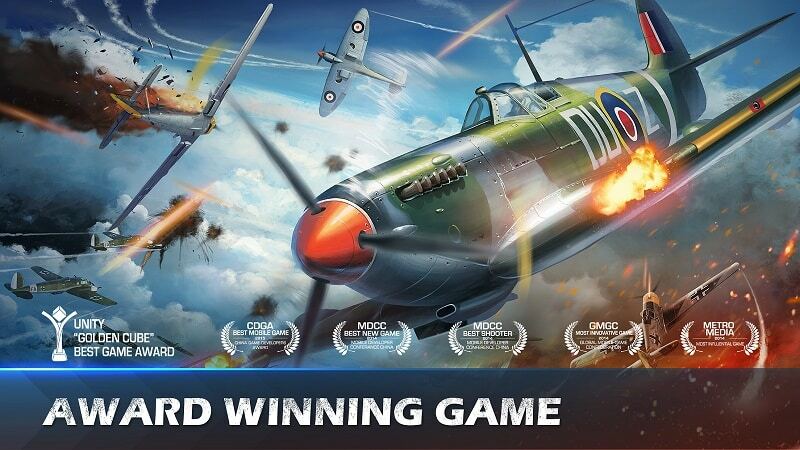 War Wings for PC is very high-paced however it does not suffer from any perceptible lag. It runs smoothly as if you are playing locally therefore there is no excuse for poor performances. High-paced online battles usually suffer from crippling lag but War Wings is an exception. With in-app purchases you some players will be able to buy their way into winning. The only thing that gives this game a WWII feel is the design of the planes. Apart from that the game could have been set in any other time period but that doesn’t make it any less enjoyable. 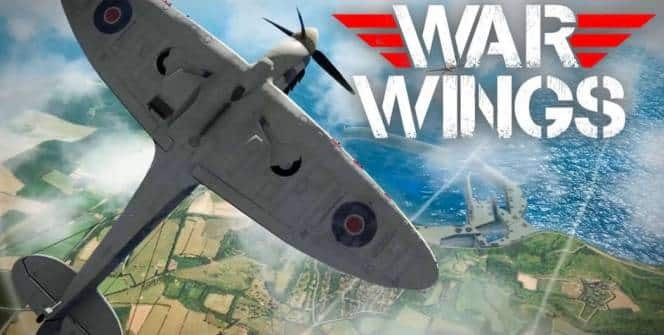 War Wings for PC gives you that arcade feel without being too simple and the short, intense battles are sure to keep you engaged for a long time. Sometimes when playing War Wings, bluestacks ask you fee to pay but gives you option to download some apps. Every time it asks you just select “Install apps” and continue using it free. I hope you enjoyed this article, please rate and share. If you have problems running War Wings on your desktop or any other issues, leave a comment below.